Did you know that your analytics data can be used as a content creation tool? Today we are talking about how to use (mostly Google) analytics to create content or products for your audience. This helps to both serve your readers AND boost your income. This podcast is sponsored by our new service: the Pinterest analytics report. You can now hire our team to take a deep dive into your Google analytics. Click here to get all of the details about this new service. 80% done and released is better than 100% stuck in your head. We arent’t willing to hold back because of the missing 20%, simply because we know this service can be of tremendous benefit to you! With that, let’s talk about the three main ways you can use analytics data to help you create an editorial calendar and improve your Pinterest marketing. Take a close look at your top 20 posts and look for common threads. In talking with some women at a recent conference, I was so impressed that they knew so much about their audience engagement. One said they could post anything about tacos and people would go crazy. They knew exactly what to post on Pinterest to trigger a reaction from their audience. And they knew it all just by conducting a close inspection of their top viral posts. Looking at your themes to create more content is like a buying signal. Stores look at what sells out and what people are buying to determine their buying orders for the next season. As content creators, we should follow their lead by creating content around the topics that are doing well on our site. Maybe you have a product that you can create based on what your analytics demonstrate that your audience is interested in. Suzi from The Mediterranean Dish and I know each other from working together in the past. We recently had a chance to meet face-to-face at Everything Food Conference. She shared a story about how she talked about the quality of olive oil on her blog and she discovered that her readers were really interested in this topic. As a consequence, she sourced her own olive oil from 2 small farmers in Greece, had it packaged with her label, and sold out after bringing it to market! Huge props to Suzi for tackling this project and taking a risk to create a new product to not only serve her audience, but also fit into her overall brand. Pay attention to your audience and what they’re interested in and then cater to that interest. What can you create to benefit your audience and your brand? A lot of people come to me and say that you get bored with the same posts over and over, or the same idea on repeat, and I get that. But…remember that you’re running a business. No business owner in their right mind would resent a buying signal from their customer just because it doesn’t make them happy or they are bored. Are you doing this because you want to serve an audience and grow a business? Or is this just to give you enjoyment? I have a podcast episode where I talked about this very issue with Kristen from Dine and Dish. If you are bored or frustrated, you need to ask yourself if this business is something you want to continue to pursue. The second way to use analytics as a content creation tool is to look for common elements across the Pinterest images you created in your top posts. If you’re a lifestyle content creator, then prepare to dig deep. All niches have different themes, so you might have to segment your images into different buckets. One quick tip is to go to your current Pinterest boards and create secret boards for your top ten pins from those boards so that you can see how they are performing with just a quick glance. 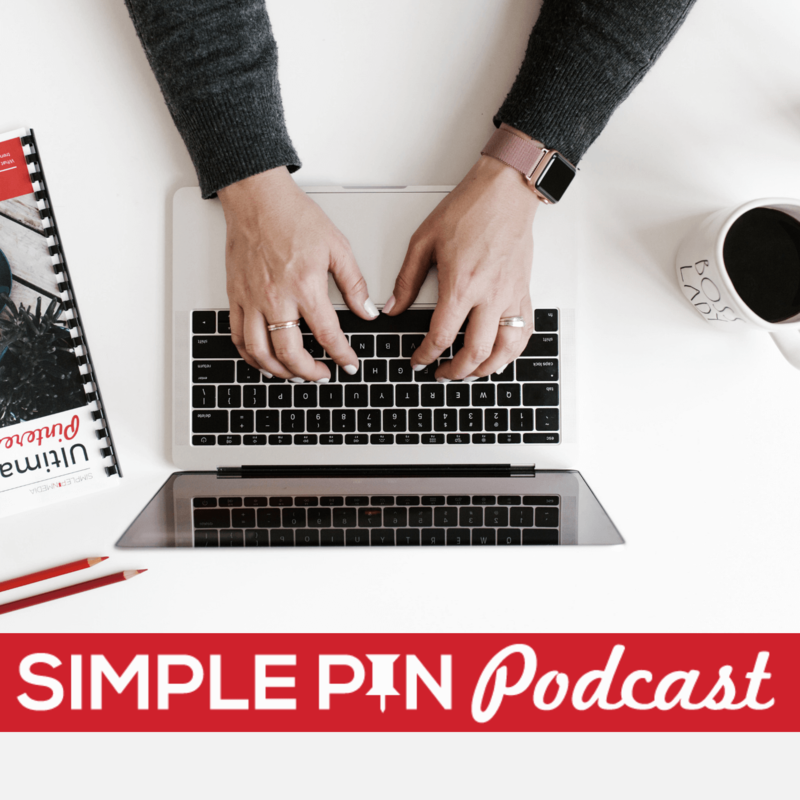 I talked about really honing in on your branding with Melissa from Pinterest images in a previous podcast episode that focused on getting long-term results on Pinterest. Check it out for all her tips for targeting your audience with images that will result in growth over time. Some of the other common elements to look includes: the size of the image or the text overlay. Have you created a new type of image within the last year? Do you find that your newer images have taken off or are your older images still getting more traction? Obviously, you don’t have to dig super deep into all of this. Grab a notebook and simply jot down what you find. Keywords make the Pinterest world go round. The most important place that they are found is in your pin descriptions. Hunt for those common themes, whether it’s health, cleaning, organization, or certain types of food. Like I mentioned in my story earlier about the woman at the conference, knowing her keywords is what helped her determine exactly what kind of content to create. Create content that your audience is interested in. Ask your friends, colleagues, or people in your Facebook group! As we wrap up, here’s a fun tip for you. Maybe you aren’t able to create an entire product like Suzy did with her olive oil, but you might be able to create something smaller, like an ebook or a t-shirt. Think about things that your audience really loves and raves about and create something based off of that theme. You need to know what your audience wants so you can help them have a better user experience on your site and SERVE them with more of what they want. Target doesn’t choose their products because it makes them feel good or fuels their passion. They choose products that best serve their customer. It’s totally fine if blogging is just something you do because it’s your passion and you love it. But if you’re looking to grow a brand, make sure you distinguish between what you’re doing for a hobby and what you’re doing to serve your audience. If you want help taking a deep dive into your analytics (especially if analytics is confusing to you or makes you nervous) we’re here for you. Contact us to arrange for a Pinterest analytics report and we’ll help you grow your brand, to serve your audience. 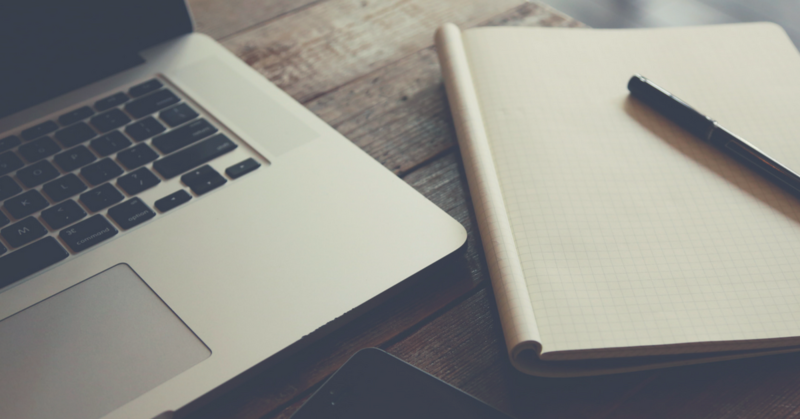 Great tips to effectively use analytics as a content creation tool for the blog. You have pointed out awesome tips for creating content with the help of analytics.